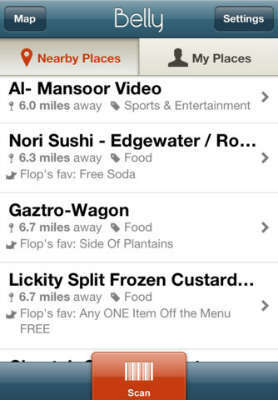 If you’re not already familiar with the loyalty app known as Belly, then you’re in an increasing minority. Belly is gaining ground, and subscribers to help businesses all over get more power in their marketing, and improve their customer return rates. Belly works with businesses on an individual basis in a bid to determine the best kind of digital loyalty program, and then puts those businesses on a monthly subscription plan. For that monthly subscription, the price of which varies according to the specific needs of the business’ program, businesses get an iPad, as well as marketing materials to back up the campaign, physical cards, key chain tags and mobile apps for the customers to use in getting access to the program and a backend analytics system to keep track of how well the program is working–or isn’t working–at any given time. For those concerned about the validity of Belly’s efforts, many businesses have discovered their value firsthand. 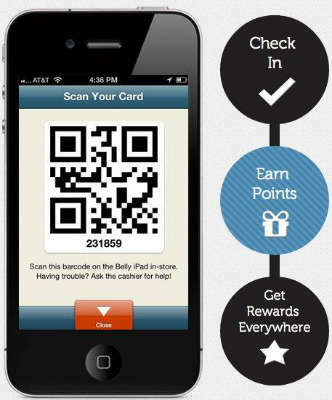 Belly recently crossed a substantial milestone when it achieved its one millionth check-in. It took Belly, according to reports, just 166 days to reach 100,000 check-ins. From there, it took only 27 days to reach 200,000, and every day Belly adds another two to three thousand new users, at last report. Those businesses who use Belly loyalty app services have said that the number of check-ins they get from Belly actually exceeds the amount of check-ins they get from Foursquare. Thus, if your small business is already using Foursquare as a marketing tool, you may have a very good position from which to use Belly and see some very nice results indeed. Those regular users who use Belly check into more than one business one user out of three, while over half–55 percent–check into a business more than once. 22 percent of Belly users have checked in more than five times. Considering that Belly has outlets in 1500 locations throughout the United States, including markets like New York, Chicago, Austin, Phoenix and Miami, so chances are that where ever you are, Belly is likely to be present as well. Getting customers is tough enough, and keeping them is even harder. Loyalty apps like Belly go a long way toward keeping users coming back with special benefits and incentives, but that’s not the only thing necessary. There’s also plenty to be said for cloud-based telephony functions like auto attendants and hunt groups to ensure the best chance to not only get–but keep–customers through improved customer service and lower costs, in many cases. So while Belly is a great start to an improved customer retention program, it’s not the only step worth taking. Still, the longest journey starts with one step, so be sure to check this one out yourself. This entry was posted in Marketing, Small Business by Steve. Bookmark the permalink.